Sandwiched between the two and with just 48 points separating Matt ‘The Expert’ and Flo ‘The Scout’ in the standings, there is no room for mistakes to creep in… like leaving Kerem Demirbay on the bench… which I did last weekend! Click here to make your Official Fantasy Bundesliga changes ahead of Matchday 9! My fellow experts had a much better time of it on Matchday 8, but I managed to take solace from the fact that my six ‘favourable fixtures’ player recommendations did rack up a combined 53 points. Fingers crossed I can keep that trend going on Matchday 9 and get back to closing the gap on Flo! Mönchengladbach are unbeaten in 11 Bundesliga games on home soil dating back to last season and will be keen to bounce back from their disappointing showing in the 2-0 loss to FC Bayern München last time out. Frankfurt are enjoying an impressive run of form, but bearing in mind last season's meetings, in which the Foals scored eight goals in two matches whilst conceding just once, they have to be considered the favourites on Friday. 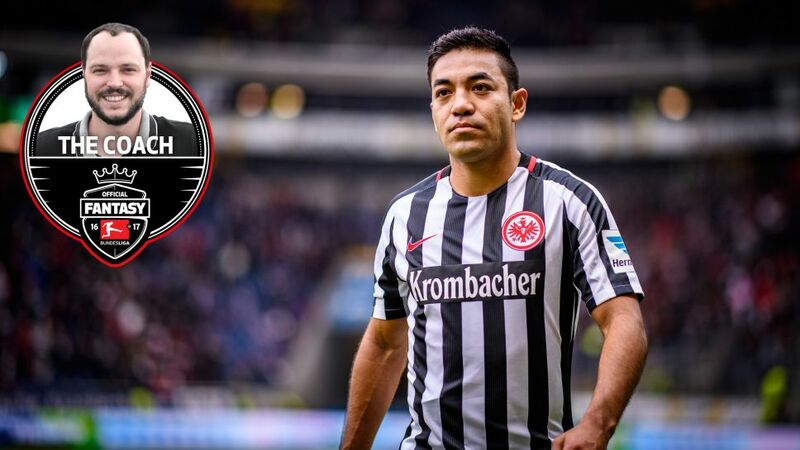 Lars Stindl (FW, 49pts, 13.4M): 31 of Stindl’s 49 fantasy points have been collected on home soil and is due another big return.Marco Fabian (MF, 68, 10.85M): Fabian is on fire and has chipped in with three goals and four assists in his last six appearances, registering double digits in fantasy points in five of them. The 3-1 loss to RB Leipzig put a slight damper on Bremen’s upswing in form under Alexander Nouri, but then no one was expecting him to make European contenders of them just yet. What he has done is make them difficult to beat, especially on home soil, where they’ve picked up back-to-back 2-1 wins over Wolfsburg and Leverkusen. Freiburg are an energetic side, but are yet to pick up a point on their travels in four attempts and the odds of that changing in Bremen are slim. Their unbeaten start to the season came to an end last weekend, but I highly doubt the defeat to Hertha Berlin will spark a downward slide in form for Köln, especially considering this weekend’s opponents. Hamburg are in dire straights at the foot of the standings and their performance against Frankfurt on Matchday 8 left a lot to be desired. If they fail to produce a significant improvement, I get the impression that Köln will have a field day at the RheinEnergieStadion. Let the tinkering continue ahead of the weekend but be wary of falling victim to too much squad rotation.